One of music’s attractions is its ability to help communicate and express feelings. Music therapy combines the fields of music education and therapy to enhance the development of life skills and can be beneficial to people of any age regardless of musical skill or background. Music therapy has been successful in improving self-expression, communication, learning, social interaction and personal awareness. 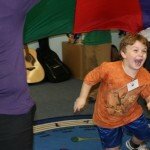 Community Music School’s board certified music therapist, Katie Hurd, specializes in working with special needs children. She works with students through both private instruction and group lessons that may take place at CMS, in the public school classroom, group homes, wellness programs, or other locations. $50* per private 30-minute session. Please contact the Business Office at 860-767-0026 to schedule a consultation. the TJX Foundation, the Community Foundation of Middlesex County/River View Cemetery Fund, the Katen Foundation, the NewAlliance Foundation, the Chester Kitchings Family Foundation, the Essex Lions Club, and individual donors. Katie joined Progressions Music Therapy in the spring of 2018. 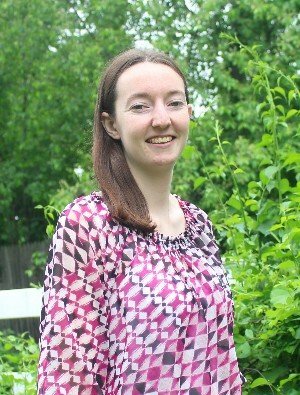 She received her Bachelor's degree in Music Therapy from Montclair State University in 2018 and is certified by the certification Board for Music Therapists. She interned at the Parthenon Pavilion at Tristar Centennial Hospital in Nashville, Tennessee, where she worked with adults and geriatrics in an inpatient psychiatric hospital as well as worked one-on-one with cancer patients.